Name origins: “Hetero-,” different; “branchia,” gills. 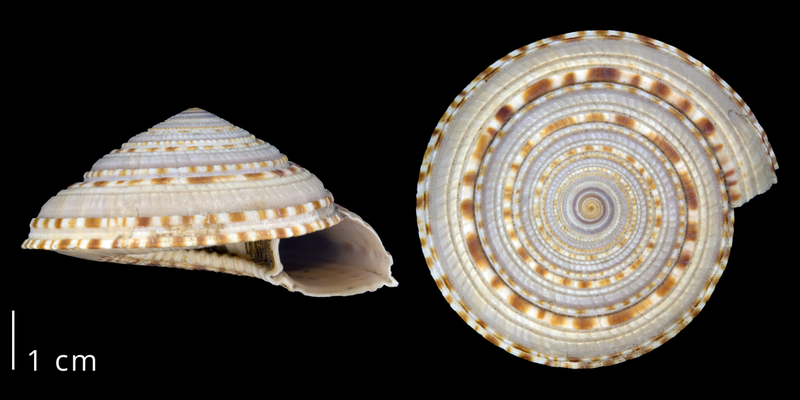 Thus, heterobranchs are “differently gilled” gastropods. Among other synapomorphies, Heterobranchia all share in common a “sinistral larval shell produced by a planktotrophic veliger” (Ponder and Lindberg, 1997, p. 229). This clade of Gastropoda is diverse and, like the Caenogastropoda, is ecologically successful as well, occupying marine, freshwater, and terrestrial habitats (Jörger et al., 2010). The phylogenetic study of Zapata et al. 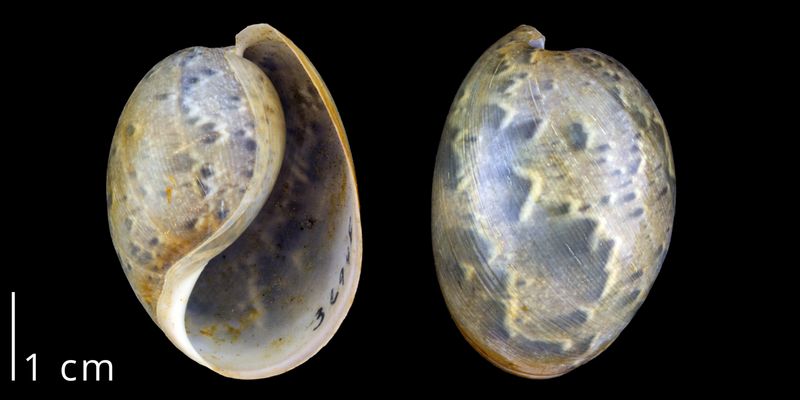 (2014) showed Heterobranchia as the sister group of Caenogastropoda (see here). “Lower Heterobranchia:” a paraphyletic assortment of predominantly marine gastropods that are phylogenetically basal relative to the monophyletic clade Euthyneura. Example: the sundial shells, Architectonica. Nudipleura: the marine nudibranchs, one group of sea slugs. Species often exhibit dazzling colors and fascinating defenses, including the ability to steal and co-opt the stinging cells (nematocysts) of some cnidarians. They lack shells as adults. Euopisthobranchia: another group of marine sea slugs, many of which have shells. Some examples include sea hares, headshield slugs, bubble snails, and pteropods. Panpulmonata: this clade contains mostly air-breathing, terrestrial gastropods, including common garden snails and slugs. 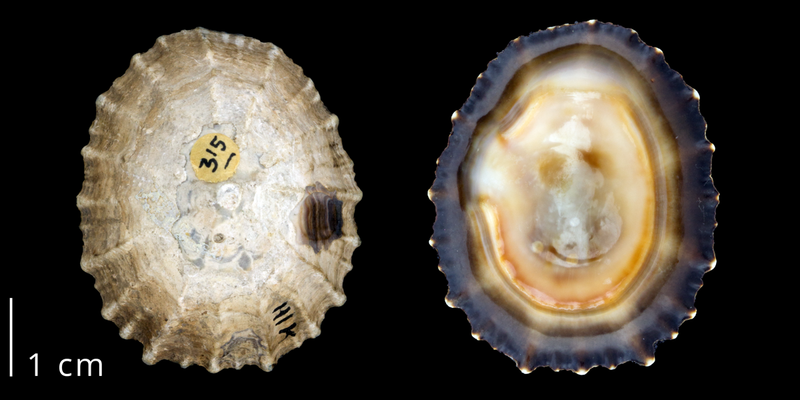 Panpulmonata also includes two clades of air-breathing “false limpets,” Siphonarioidea and Trimusculoidea. A molecular clock study by Zapata et al. (2014) suggests that the Heterobranchia clade originated sometime in the Carboniferous (Mississippian and Pennsylvanian periods). “Lower Heterobranchia:” Modern specimen of Architectonica maxima from Tosa, Japan (PRI 55220). 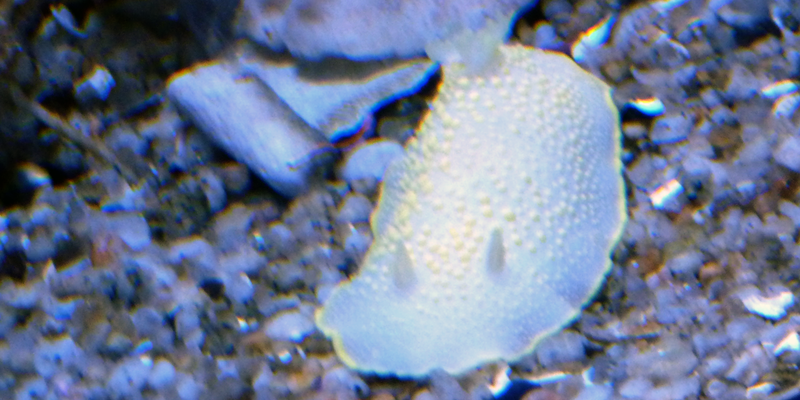 Nudipleura: A nudibranch, photographed at an aquarium. 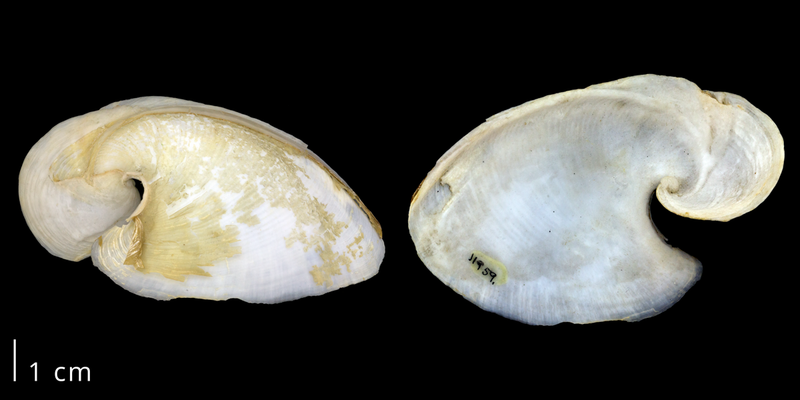 Euopisthobrachia: Internal shell of the modern sea hare Dolabella (PRI 70097). Euopisthobranchia: Modern Bullaria gouldiana from Orange County, California (PRI 70098). Siphonariidae: Siphonaria gigas from Panama (PRI 70100). The blue dragon, Glaucus atlanticus, is a brightly colored, swimming marine nudibranch (Nudipleura clade). A 2010 viral video characterized this species as a “real life Pokemon.” This heterobranch protects itself by stealing and co-opting stinging cells from the Portuguese man-of-war; many nudibranchs similarly steal the weaponry of cnidarians for their own defense. Bubble snails are euopisthobranchs. As they crawl on the seafloor, their shells cover just a fraction of their bodies. The video below shows a kind of Indonesian bubble snail called a Miniature Melo (Micromelo undatus). Species belonging to the marine headshield sea slug genus Navanax are predatory members of the Euopisthobranchia clade. The short video below shows a Navanax eating a bubble snail, another kind of euopisthobranch. Sea butterflies and sea angles are pteropods (“wing-foot;” the “p” is silent), both shown in the video below. These small euopisthobranchs spend their lives in the water column (i.e., they are pelagic). The fine calcium carbonate shells of these animals–which easily dissolve in acidic water–have proven to be important indicators that the oceans are becoming more and more acidic due to the presence of higher amounts of dissolved carbon dioxide (see overviews by the Smithsonian and Los Angeles Times). The edible terrestrial snails used for escargot belong to the species Helix pomatia (or, “burgundy snails”), which are panpulmonates. The life habits of similar snails are shown in a scene from the remarkable movie Microcosmos. Banana slugs (genus Ariolimax), along with other terrestrial slugs, are panpulmonates. These slimy, brightly colored slugs occupy the redwood forests of California. Gofas (2016) recognizes the following gastropod families as members of the Heterobranchia († indicates extinct families). This list was copied from MolluscaBase on February 3, 2017 and is reposted here in concordance with the source material’s Creative Commons BY 4.0 license. The link associated with each name will direct you to additional information about that family on MolluscaBase. Jörger, K. M., I. Stöger, Y. Kano, H. Fukuda, T. Knebelsberger, and M. Schröl. 2010. On the origin of Acochlidia and other enigmatic euthyneuran gastropods, with implications for the systematics of Heterobranchia. BMC Evolutionary Biology, 10: 323. DOI: 10.1186/1471-2148-10-323. Link. Gofas, S. 2016. Heterobranchia. Accessed on February 3, 2017 through: MolluscaBase at http://www.molluscabase.org/aphia.php?p=taxdetails&id=14712. Ponder, W. F. and D. R. Lindberg. 1997. Towards a phylogeny of gastropod molluscs: an analysis using morphological characters. Zoological Journal of the Linnean Society, 119: 83-265. DOI: 10.1111/j.1096-3642.1997.tb00137.x. Link.